I like when we are able to add sensory Playdough to our holidays. 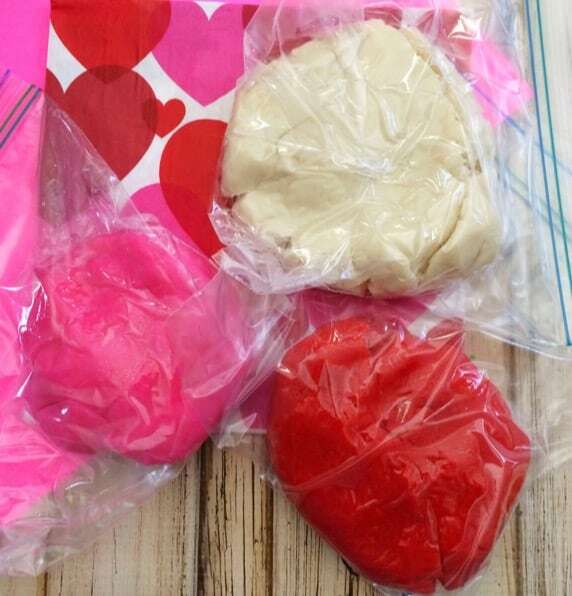 This homemade Valentine's Day playdough is easy to make and is loads of sensory fun. 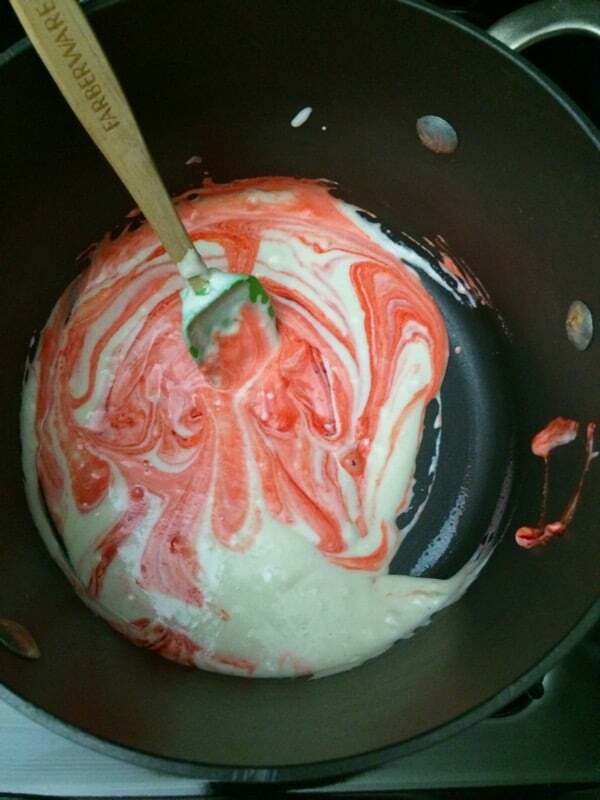 Whip up several batches in no time and you'll have hours of fun. 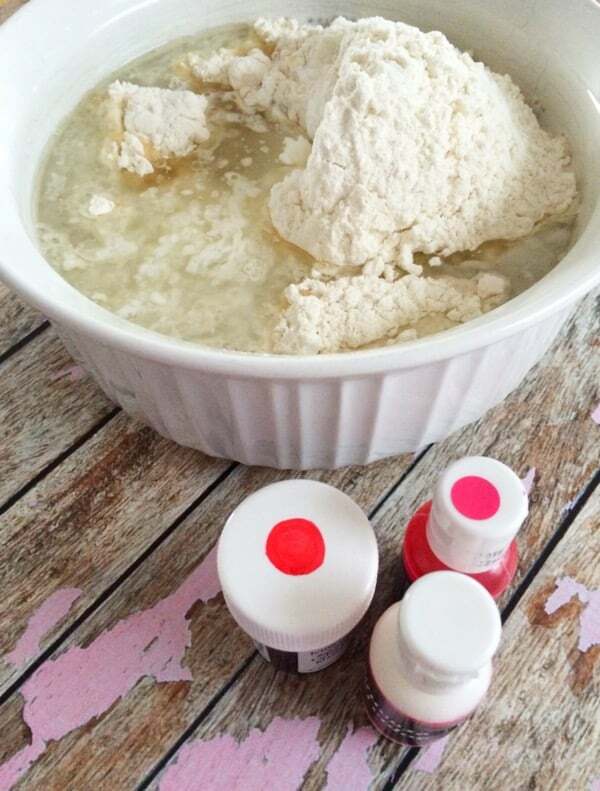 Playdough is one of those good things to always have on hand and I have a ton of playdough recipes on the site. 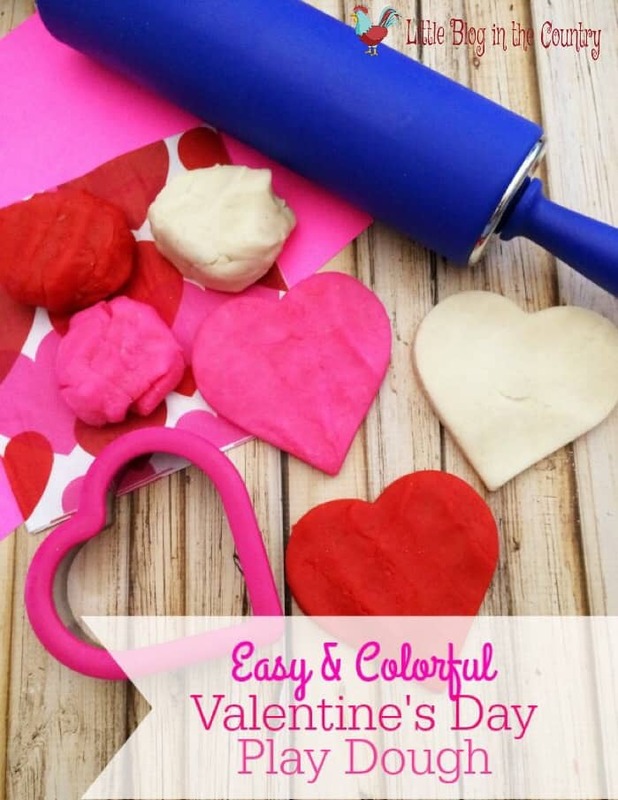 Playdough is a great way to help your kids de-stress after a long day at school. It's great for anxiety too. Add a couple drops of Essential Oils into it after it cools if you'd like. 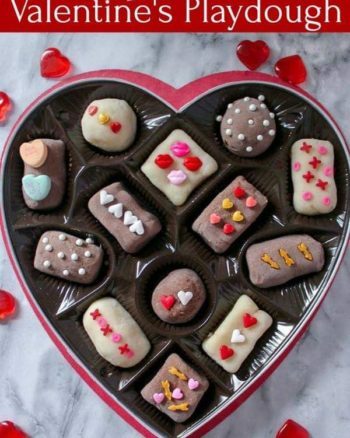 It's a great way to add a little extra omph to de-stressing. What a great idea, kids will love it! 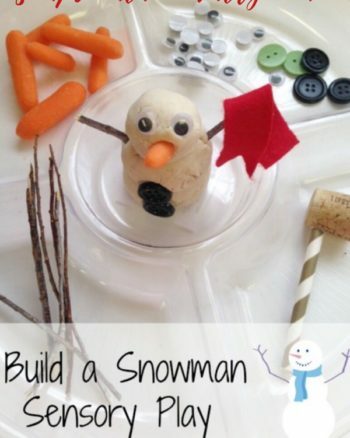 Thanks for sharing this at the DI & DI Link Party! My Daycare kiddos love helping me make playdough! I’ll have to add this to the activities this week! I’m so glad you shared this on Dishing It & Digging It!